If you guessed, “getting people to do their jobs without being nagged”, you would be right. The number one complaint of managers is that their team members are not accountable. And the number one complaint of employees is that their managers avoid taking action, refuse to be responsible for their mistakes, and take credit for things they didn’t do! Same issue of not doing their jobs responsibly. These complaints indicate a growing tendency to avoid commitment to other human beings, and refusal to contribute to age-old institutions like marriage, family, or the workplace. In dating terms, this avoidance of potential discomfort or conflict is called “ghosting”. You know – the problem of arranging for a date and then your date doesn’t show up? No phone call, no email, no text, no explanation? This ghosting term is now being used to refer to lack of: commitment, follow-through, responsibility, and accountability on teams for workplace contexts. HR managers, employers, and recruiters alike complain that employees don’t show up for interviews, arrive late with no explanation, appear nonchalant about lack of preparation for the interview, and then don’t bother to show up on the first day of work or resign after the first week, sometimes even after the first hour. Job applicants on the other hand complain that nobody responds to their online applications, won’t provide necessary information to applicants, and engage in recruitment/hiring practices that clearly disadvantage certain groups. Add to that the common practice of advertising a job position or contract that has already been filled (apparently to show equity of opportunity) and you can see why applicants feel little sense of responsibility towards potential employers. Now let’s look at that ghosting tendency in the workplace where people actually are coming to work and appear to be committed to their jobs. Even though they are at work, all the recent Gallup studies reveal 70% are disengaged – up from 24% from five years ago. There are increased complaints about respecting deadlines, refusing to participate in team discussions and timelines, not responding to emails or respecting calendar meeting dates and simply not showing up for things that would normally be considered essential for keeping your job. One disturbing example is a growing problem of teachers not showing up for their classes and leaving groups of children and teens unattended. This would have been grounds for dismissal and in fact would never even have occurred to teachers 10 years ago. Even in service professions where there is a high degree of sense of “calling” and typical sacrifice to the common good, “ghosting” has become a malignant problem across the board. 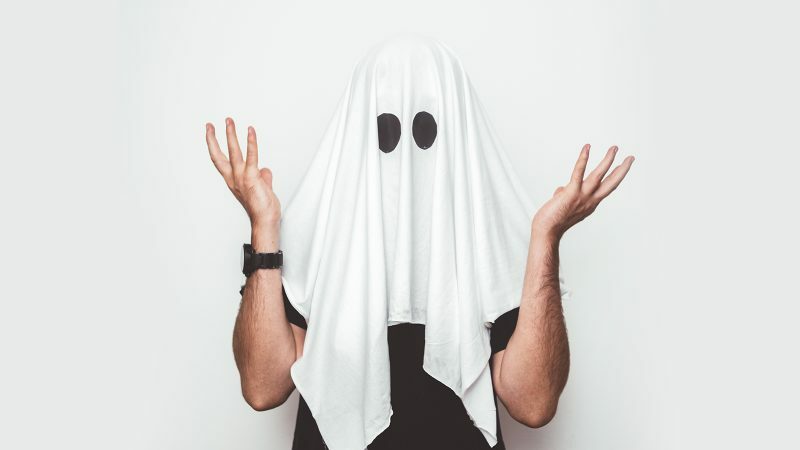 I have noticed more and more articles talking about this phenomenon and suggesting ways to address ghosting in the recruitment process for both employers and jobseekers. In the context of the workplace, both managers and employees need to courageously commit to common goals and practices that will ensure success. When I was starting to do research on this topic, I realized that at Shift, we have already created a lot of excellent content to help teams be more accountable and develop the necessary skills for commitment to other human beings at work. It occurred to me that this content could be even more valuable if sequenced for daily content over a short period. So instead of creating a post about how to deal with ghosting I decided to create a sequence of practical ways to build accountability. Accountability is built from the bottom up and demonstrated from the top down as a model for others to aspire to. The building block for accountability is trust, and skills to help people who are not used to being responsible to others need to be developed along the way. Once those things are in place, the next piece is knowing when to challenge and when to encourage. It is all part of developing inner courage muscles to be able to commit, maturely address issues as they come up and believe that others are capable. All of this – and more – is in a sequence of practical articles with actionable steps ready for you to use (I threw in three relevant videos as well)! I really enjoyed putting this together for you and I know you will find it useful, perhaps even reassuring at a time when we are all surrounded with volatility and lack of trust. Want to know how you can access this mini- training in team accountability? Easy! Click on the link to get “Nine Days to Team Accountability Mini-Training” delivered to your email one day at a time. We even have a master class at the end for you to enjoy on the same topic. For more great quotes about accountability, check out this link.